Herringbone Webbing Ties x 1 Roll. Herringbone Webbing Ties x 6 Rolls. 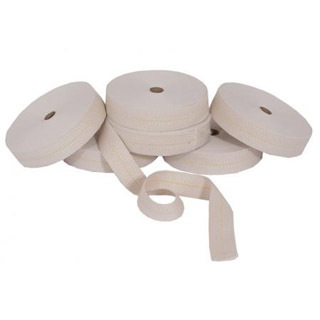 Cotton webbing ties x 1 roll. strong>Webbing ties are a great product to have for securing large items of furniture to the inside of vans or trucks. The furniture webbing straps give you peace of mind that your good will be safe and secure during transit, they will avoid your furniture from rolling around and become damaged. Heavy duty strength Ratchet straps for sale at Packing Boxes, these straps are recommended for when moving or securing heavier loads. At Packing Boxes we offer our Furniture ties singular or in packs of six. 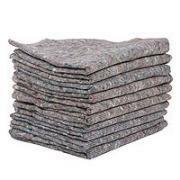 The pack of six is the ideal amount of webbing ties for a 7.5 tonne truck with a large amount of furniture. Ratchet straps are ideal for standard house and office moves to secure your furniture from getting damaged or rubbing in the back of the truck during transit. Professional removal men use furniture straps to make sure your furniture is not going to get damaged during transit to your new home. They also use Ratchet tie down straps for heavier items of furniture for extra strength. Strong herringbone webbing straps used to secure items of blanketed furniture and possessions into and also to the sides of the interior of the removal vehicle to stop movement of items while in transit. You can cut your furniture straps to the required size required for yourself, there are no restrictions, just loop one end and they are ready to go. Our herringbone webbing ties are 44mm in width X 20 Meters in Length and 900lbs breaking point strength. 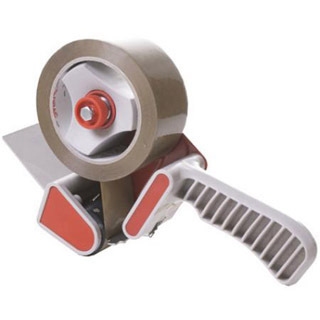 Packing Boxes offer many different webbing straps for different purposes and strength requirements. Our furniture straps vary from soft cotton truck straps for your delicate furniture, herringbone webbing ties for standard requirements, normally used by professional removal companies to secure your furniture in the back of the truck, and black heavy duty strength ratchet straps to be used as for ratchet strapping heavy loads.